Taking a bath with low water pressure can be a great inconvenience. In the morning, it will take you longer to shower than on normal days. After a long day, taking a bath with low water pressure can be incredibly unsatisfying. Despite the inconvenience, this can cause, people still learn to live with it and take it as normal after some time. However, when you have friends or relatives coming over for a weekend stay, you should ensure that the water pressure in your house does not embarrass you. In any case, your visitors deserve better. Many steps can be taken to ensure that water flows with sufficient pressure from the main supplies to the house. If there is a buildup of dirt or sediment in the pipes that channel water to your house, this may be a sign that you need to re-pipe your house. While this is not a cheap undertaking, it will make lots of difference regarding comfort and water pressure. In case you choose to re-pipe your home, enlisting the services of a professional will make your work easier. Every house has a pressure regulator on the pipes to reduce the speed at which water rushes into the home. When too much pressure builds up in the pipes, it can damage fixtures, faucets and even pipes. Pressure regulators ensure that water received at 100 PSI from the water tower has its PSI reduced to the range of 80 to 50 PSI before entering the home. If you experience low water pressure, you should go out and turn on your spigot. 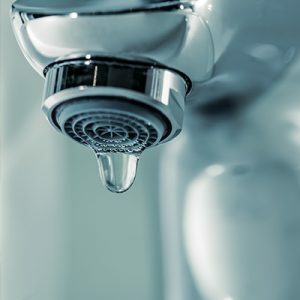 If the water pressure at this faucet is higher, you should find out the point at which water pressure varies and consider changing the fixtures and washers at that point. You can seek the help of a professional dealer if you do not know how to do this. When pipes are cracked or damaged, they may leak out substantial amounts of water, leaving minuscule quantities to reach your house. This will, in turn, result in low water pressure. In case you notice any leaks, you should call in a professional to correct the problems. Gravity and distance are important factors that influence water pressure. The two may need to be adjusted if they are found to have negative.